What a fantastic game, gets you totally addicted when you first play it and then every now and again entices you into playing it again. Highly original and loads of fun - you cannot help yourself trying to dribble repeatedly past the defenders. 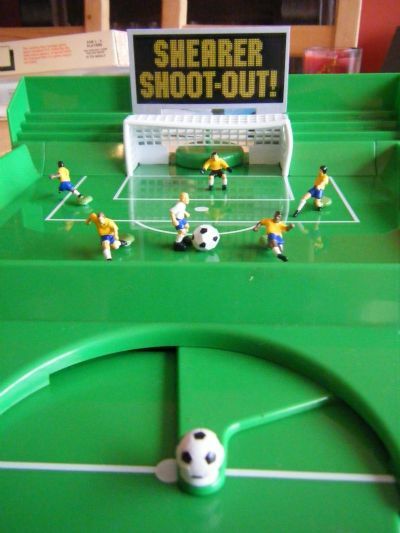 If you see this game at a car boot then buy it! 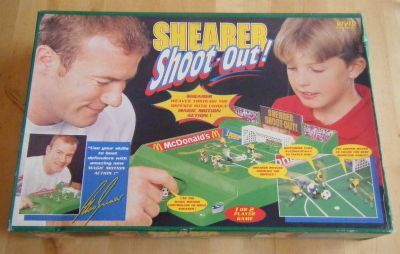 No real surprises -it's Alan Shearer playing the game! There is an Alan Shearer figure and a number of Brazilian defenders within a hlaf pitch stadium. 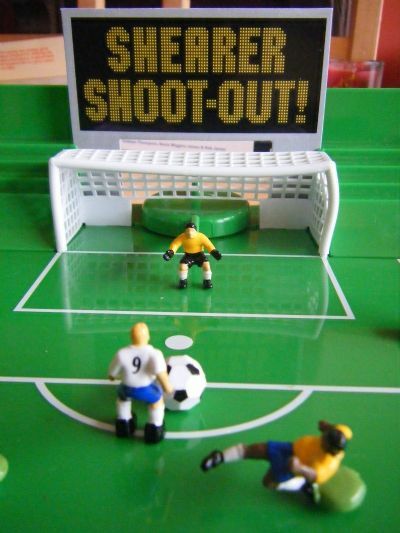 The game is surprisingly addictive and great fun, beating the sliding in defenders is compulsive. This defender appears to have overdone the slide resulting in the splits. 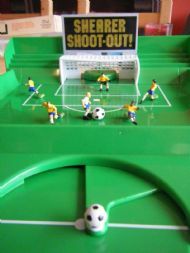 The ball handle controls a magnet under the pitch that moves Alan around to dribble and control the ball. 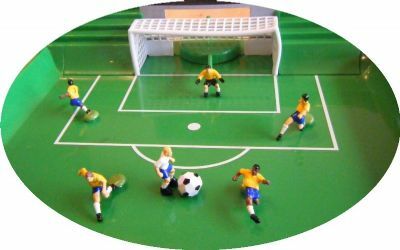 The defenders are held by one foot but rotate when the magnet is near giving an excellent tackling effect. 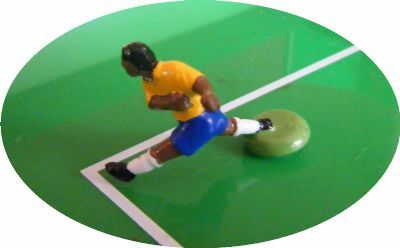 After beating the defenders it is possible to shoot by pushing the ball guider forward quickly to make the figure kick the ball.